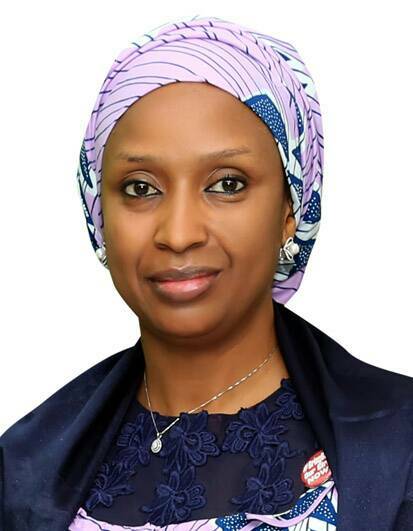 The Managing Director of Nigerian Ports Authority[NPA] Hadiza Bala Usman has informed Stakeholders and Port Users of the renewed vigour and determination of Management at improving the present state of infrastructure to meeting world class standards towards ensuring the swift evacuation of cargo from the seaports across the country to the hinterlands through the rail lines. According to her, Management was fully aware of the state of congestion in the Ports caused by the bad roads within the Port axis. This she regretted has led to a reduction in revenue accruable to the Organisation as well as the inability of the nation to maximize her potential as a major player in the Maritime sector within the Sub-Saharan Africa. 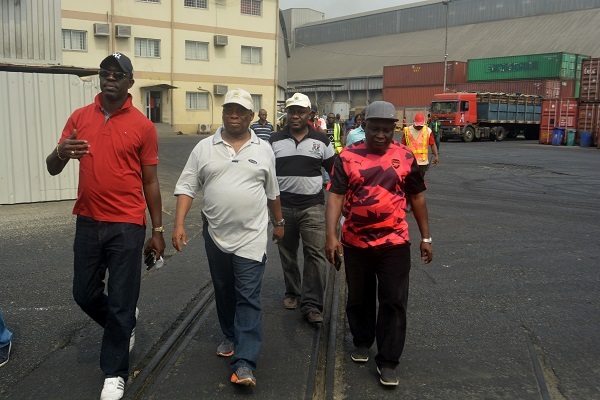 Hadiza represented by the General Manager MD’s Office, Captain Iheanacho Ebubeogu made these remarks while on a facility maintenance inspection of the state of the rail lines in the Ports accompanied by the top echelon of the Nigerian Railway Corporation[NRC] led by its Director Of Operations Niyi Alli to Terminals within the Apapa corridor over the weekend. Quoting the Managing Director’s Representatives, ‘’ Management would collaborate and improve on the existing synergy with the NRC at addressing the challenges facing the Corporation with a view to increasing the market size of the country in the area of Cargo evacuation ‘’. Fielding questions after the inspection tour, the Director Operations, Nigerian Railway Corporation [NRC] Mr Niyi Alli who stood in for the Managing Director of the Corporation Mr Fidet Okhiria stated that the working visit was to assess the present state of the rail lines in order to further collaborate with the NPA in the area of rehabilitation. According to Alli, the rail service would be optimally utilized for Cargo evacuation in line with the Federal Government’s policy of Ease of Doing Business in the country. 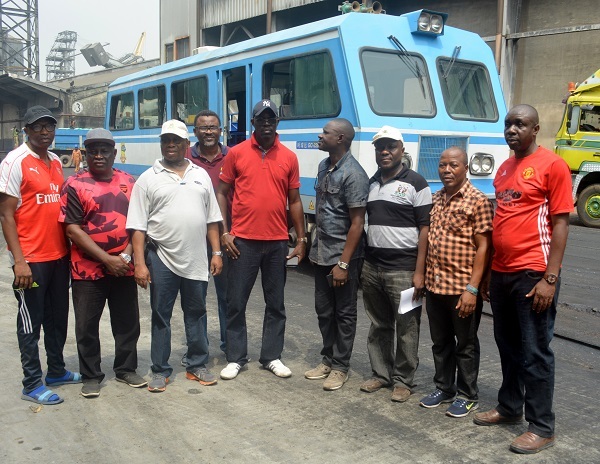 He stated that plans are being concluded by putting into operation between 15- 20 Locomotive Wagons with each evacuating 20 units of 40 footer container at a go from the Terminals to the hinterland. 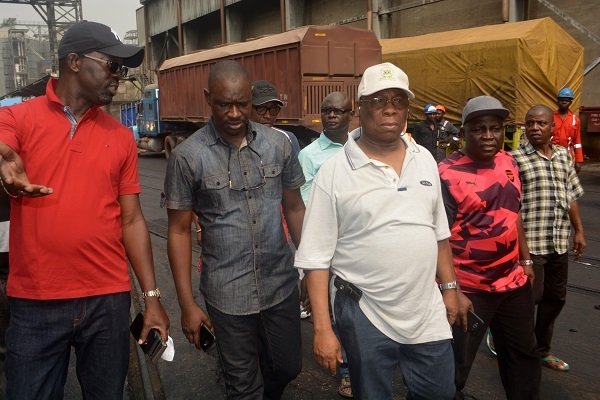 It would be recalled the Honorable Minister of Transportation Rt Hon Chibuike Amaechi, recently instituted a Committee comprising the Managing Directors of NPA and NRC as well as their top echelon to carry out on the spot assessment of the present state of infrastructure of the rail lines in the Terminals. It is expected that the rehabilitations would further go a long way towards the swift evacuation of Cargo from the Ports.